Disk Utility is your friend. Yet no matter how often we tell this to people – at General Meetings, on the TCS, and at Tuesday Night Clinic – people don’t listen. So we’ll repeat: find Disk Utility in your Utilities folder. Launch it. Click the Disk First Aid tab. 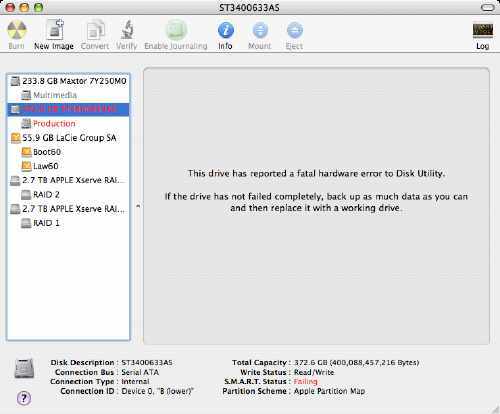 Check your drives. Do this after the crash of any program. Do this if your entire Mac crashes, or the power goes out, or if your Mac needs to be rebooted after anything other than a normal shutdown. 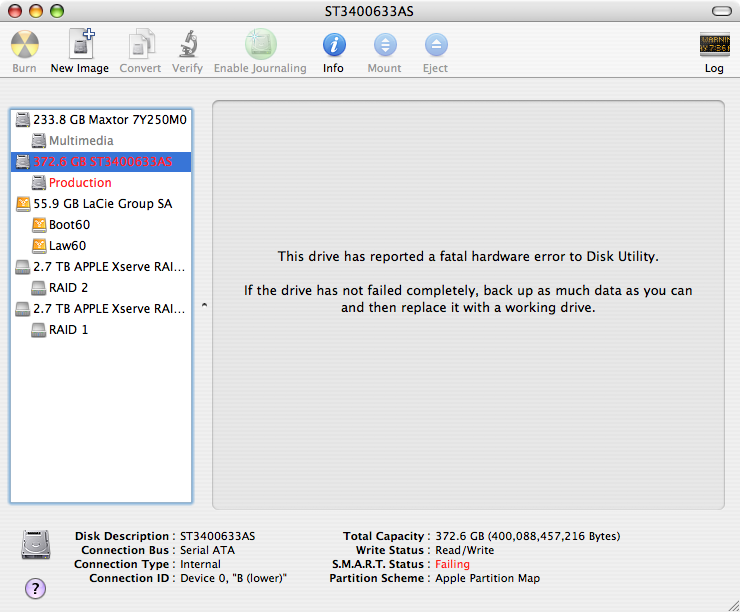 Disk Utility is reporting that the highlighted Seagate drive is failing. The S.M.A.R.T. (Self-Monitoring, Analysis, and Reporting Technology) status even says so explicitly. Do not hesitate: back up everything off this drive, if possible, ‘cause it’s going down! If you are lucky, you will never see such a message. But do make a habit to check and, when you find problems, use Disk Utility to fix them. If Disk Utility can’t fix them, do not hesitate: back up everything and abandon ship. An early warning is not worth much if you fail to heed the warning.